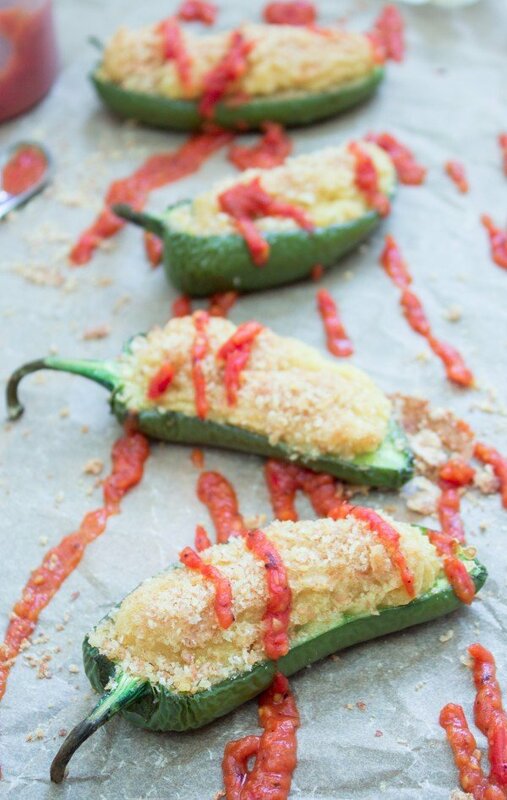 These Hummus Jalapeño Poppers are my second recipe for the MasterChef Mystery Box Challenge that I am doing with Tumblr. Boy, it’s been a wild ride so far. I usually do a few markers when doing a recipe, just to make sure everything is on track. And while the final result was tasty, I am not confident in how error-prone it is. That said, it’s a fairly simple recipe and you should definitely try it. Being vegetarian, there are a few things I wouldn’t use. I did however really want to use the pumpkin but with only 2 hours to create the recipe, photograph it, edit the photos, write it up… well, I had to stay with simple. One thing I am super proud of is how MasterChef has been responding to my content. So far, my photos have been used a lot in promotion and that alone is a big win for me. I hope you will continue to follow along. Just join me on Tumblr.